This website is designed to help remove the frustration and put the fun into researching house histories. There are helpful articles and a listing of other Internet resources to help you on your journey. So dive in, have fun, and be sure and let me know how you are doing. Suggestions and comments are always welcome. For tips on researching your home, click on the HOW TO tab. Helpful posts about researching house history can be found by clicking on the ARTICLES tab, with additional articles at this Ezine Articles link. The RESOURCES tab contains a listing of other websites that may be of assistance to you. Use the magnifying glass in the upper right of this page to search for a particular topic. On the OUR HOUSE section, see pictures and details about my Webster Groves, MO home. If you want to find out more about how to research your home’s history, check out MY BOOKS, Keys to Unlocking House History and Who’s Been Sleeping in My Bed(room)? Researching a St. Louis County, Missouri Home. 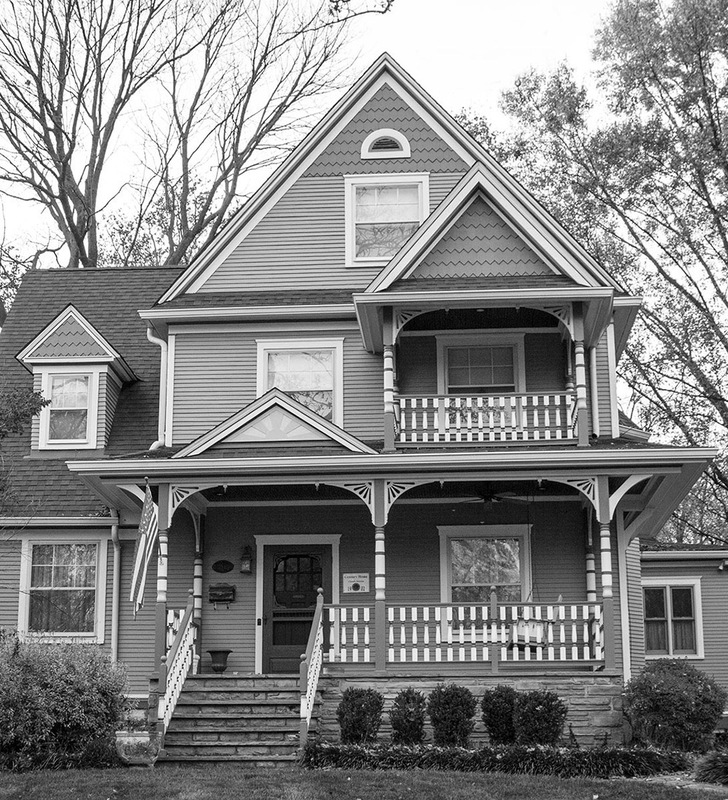 I live in a fabulous Queen Anne style house, which was built in 1902. When my husband and I found it on the market in 1987, we knew that this place would be more than a house to us. We knew it would truly be a home, where we could raise our two year old and any subsequent children who might come along. As only the third owners, the house obviously held a great appeal to the other two families who each spent 36 and 49 years, respectively, raising families in this Webster Groves home. In fact, Hazel Lindholm, owner at the time we purchased the property, personally met each person who placed a sealed bid on the house. She had final say on who would take over the care of her beloved home. We never knew if we had placed the best offer on the house, but we knew we had passed Hazel’s test. She wanted a family to fill the space once again. As our house neared its 100th birthday, I looked into what would be required in order to obtain a Century Home plaque from the Webster Groves Historical Society. What I was told seemed simple enough. All I needed were two pieces of documentation to prove the house was built in 1902. Surely a quick trip to the local historical society office would provide the necessary information. Right? Not exactly. It took three years and countless trips to multiple libraries, historical societies, the county courthouse and, ultimately, a trip to Chicago, before I was finally able to make application for my plaque. But what an exhilarating, if sometimes frustrating, experience it was. My hope is that this website makes the process of digging into the history of your home a little easier. 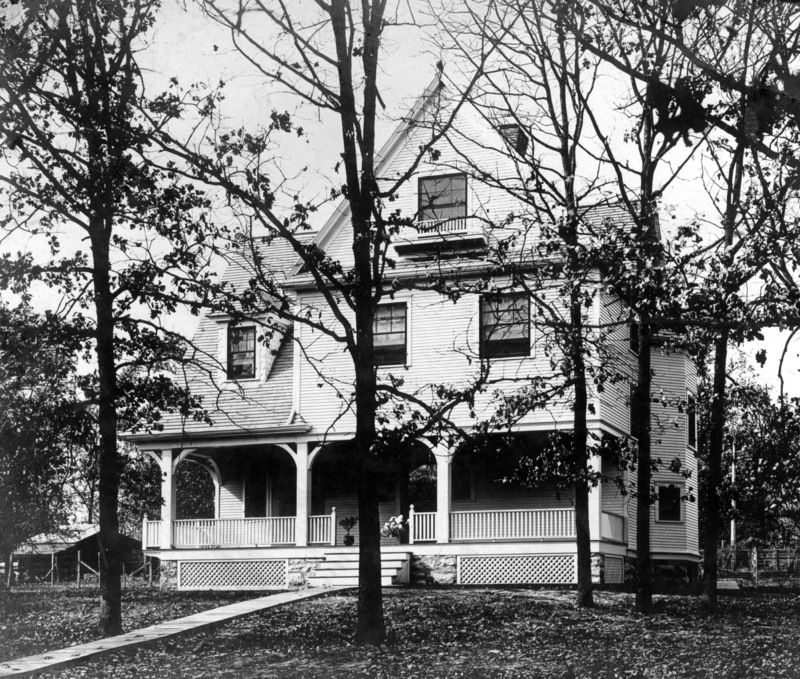 The journey of our house began in Webster Groves in 1902.